THE ROAD SAFETY Authority (RSA) says that the exaggeration of breath test figures by gardaí may have led to more people being killed or seriously injured on Irish roads. The statement comes in response to the Crowe Horwath report, published on Wednesday, which found that An Garda Siochána had not grasped the importance of the non-existent breath tests or properly dealt with the problem. 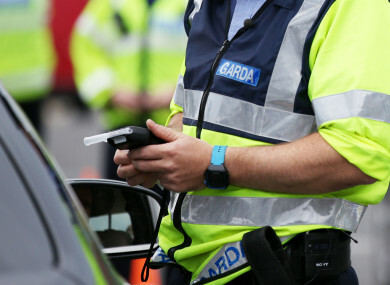 The RSA said that the over-reporting of breath tests and the low detections of intoxicated drivers “may have determined or influenced the allocation of Garda resourcing away from roads policing”. “The percentage of positive breath tests reported by An Garda Síochána is in stark contrast to recent research conducted by the RSA which showed that 29% of drivers involved in fatal collisions had alcohol in their systems. The RSA added that “the lack of investment in An Garda Síochána over the last 10 years must be addressed urgently”. The Crowe Horwath report, carried out on behalf of the Policing Authority, also found there was a culture in the force that displayed “a casual approach to data”. A lack of appreciation of the value of data, it said, “enabled unethical behaviour by members who falsified checkpoint data”. It found that around 400,000 more breath tests were falsified than earlier reported. Email “RSA says people may have been killed or injured because of falsified breath tests”. Feedback on “RSA says people may have been killed or injured because of falsified breath tests”.